Celebrating your 1st Father's Day? 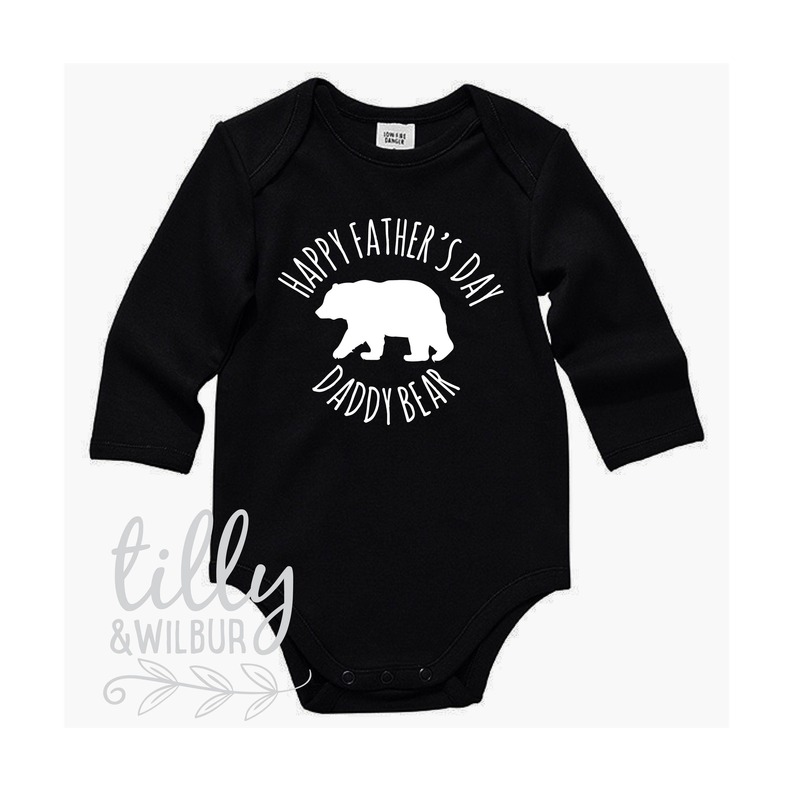 Then let bubba do it in style by wearing one of these gorgeous baby bodysuits that says "Happy Father's Day Daddy Bear"
We use quality cotton bodysuits that have a triple stud closure and envelope neck for easy change times because we like to keep it simple! Printed to last to be washed and worn over and over.